City News 2017 proved to be successful, 2018 will prove to be much more then just success for Martinsville. Over the last 2 years this administration started out with many goals. We presented those in 2016 with our first 100day plan. We out lined the plan with 5 building blocks. Those blocks were Safety, Neighborhoods, Economic Development, Communications and Citizens voice. With in the first 66 days of our administration, we had touched each one of those goals. At the end of the 100 days we had accomplished our goals some by simply starting the process. Many of the things that we outlined, were things that will continue though out this administration. In 2017 we kicked it up a notch by implementing a 200day plan. With many of the goals met before the 200 days were complete it gave me a greater appreciation to our department heads and employees on their dedication to our community and to the people we all serve. 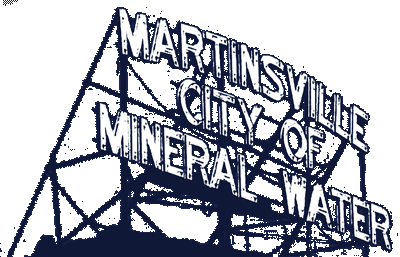 Martinsville is so fortunate to have the many good employees that is does. While our finances continue to improve since we have taken office and with our downtown coming back to life, now is the perfect time to create a new branding for our city. Since I have taken office, one of the promises that I made was I was going work hard to change the outside perception of our community. By that I mean for years we have been unfairly branded as a community that is not friendly. A community who is unwelcoming and does not want to move forward because we are looked at as backwards. Some have even said we are a community of hateful people. To me that is the farthest thing from the truth. Our community has proven over and over our caring and compassion of others when there is a great need. I think of the hurricane’s as many of our people stepped up and donated items and time to help others that they did not know. When one of our Children are sick and need prayer such as little Ava, our home town hero, we often all come together and pray for God to place his healing hands on such a gift as she. This is the side of our community that often people outside do not get to see. We see it here every day. Our community coming together for each other. It is like second nature for us. Over the past 2 years I can honestly say we are starting to see a break in that cycle, which is why I have added sixth Building Block in 2018, Civility. How we treat each other is just as important, if not more important then anything we do. In a world full of negativity, it is easy to get pulled down into the weeds and not even realize it. My challenge to our citizens of Martinsville it to see the good in things. Step back and look around and see all the good going on here. Not just here but everywhere. Say hi to someone, hold a door open for someone, say something nice about a someone. I could go on and on. Stop and smell the roses. The world is a beautiful place and our little spot in Martinsville is one of the prettiest. Not just because of the beautiful rolling hills and views but because of our good people. 2016 and 2017 were very successful years for many reason. 2018 will be even better. We will continue to work just as hard, if not harder to make Martinsville the best it can and the biggest reason is because the good people here deserve the best.